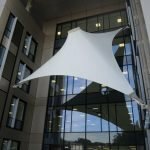 The vision for this mixed use development was to create a park in the center of a commercial and residential area complimented by a tensile structure. 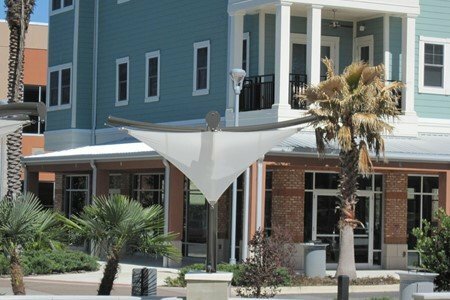 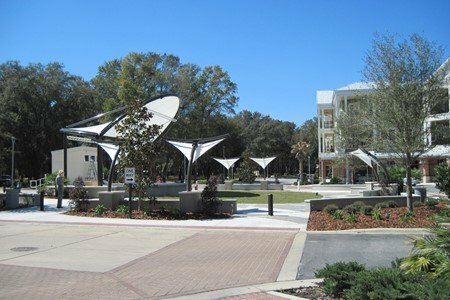 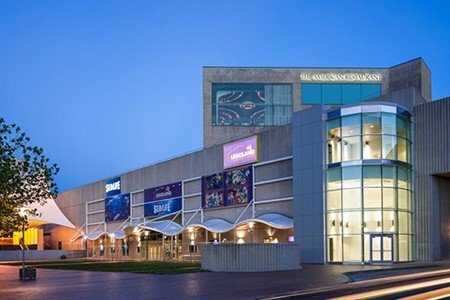 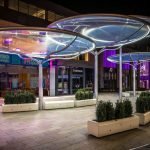 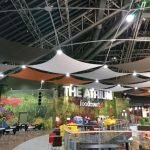 This award winning development features seven tensile fabric structures, attracting shoppers and locals for year-round outdoor entertainment, a design that is being replicated throughout North America. 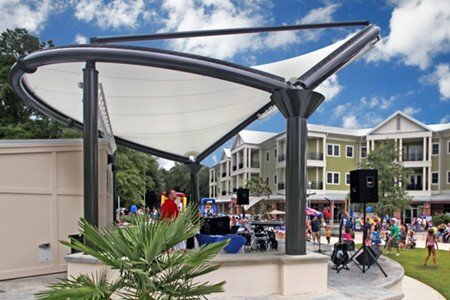 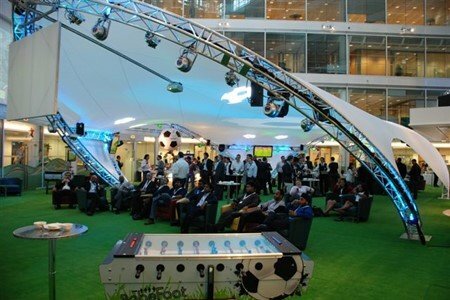 Working on a tight budget, the developer required a stage shelter and a way of defining the space, yet not enclosing it. 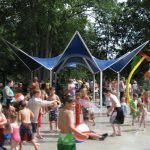 It was important that the area feel safe, bright, and able to accommodate large crowds, encouraging people to enjoy being outdoors. 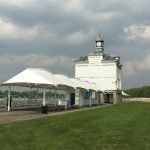 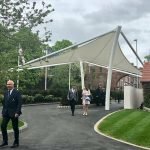 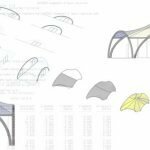 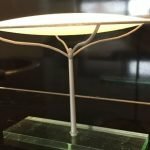 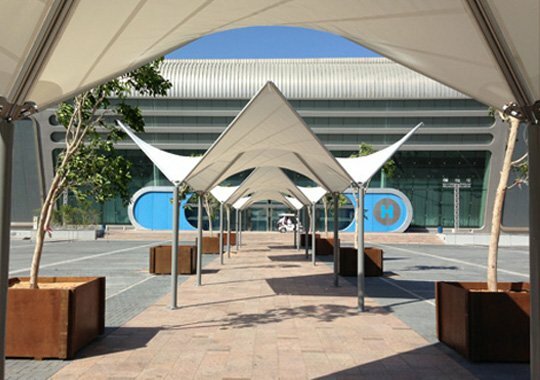 Shifting away from traditional gazebo type structures, tensile fabric was the chosen building medium for its ease of maintenance and contemporary edge. 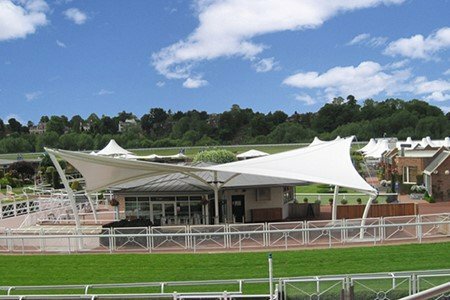 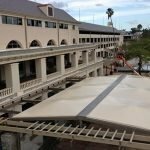 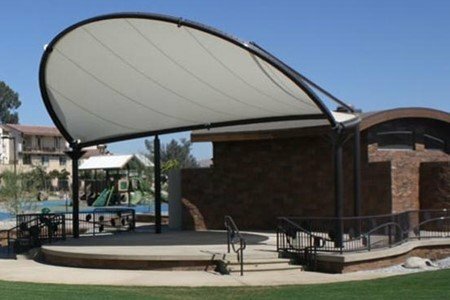 Fabric Architecture recommended Signature Structures, easy to order permanent canopies that are artfully engineered and economically priced. 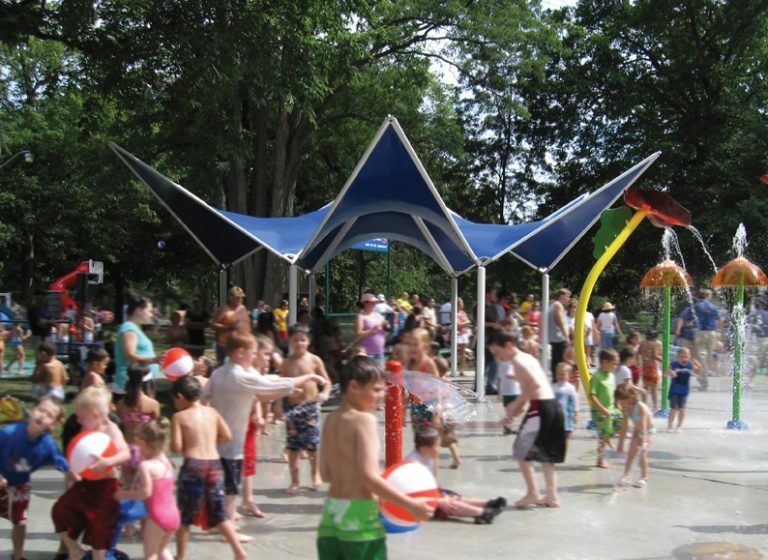 Six 10’ sculptural Skylar structures were installed around the parks circumference. 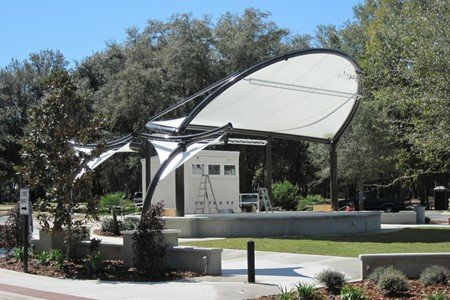 Taking center stage is the iconic Bandshell tensile structure measuring 33’ in diameter. 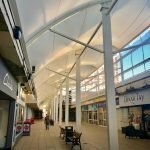 The structures helped create a space that on a sunny day is packed with children, adults & entertainers – it’s been a win-win for the community.